Attention Google Pixel owners: your smartphone is now up to the task of controlling gadgets in your home, courtesy of Google Assistant. The search giant appears to be rolling out a "Home control" center in the Google Assistant settings, from which you can send out commands to your smart home devices using just your voice, as spotted by Android Police. The list of smart home gadgets now controllable with Google Assistant on the Pixel includes Nest thermostats, Philips Hue light bulbs, Samsung's SmartThings devices, Honeywell thermostats and Belkin's WeMo line. You can even control these devices by room, too. 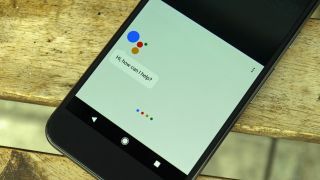 The rollout of Google Assistant's new powers doesn't seem to be ubiquitous yet, so we've asked Google for more details, including whether Pixel owners need a particular flavor of Android Nougat or other apps to access the Home control nerve center. We'll update this story if we hear back. While this is a neat feature for Pixel owners and helps Google's smartphone compete against the likes of Apple's HomeKit platform, it's somewhat of a curious play as Google is also promoting the Google Home smart speaker, which controls the same devices using Assistant. We understand Google bringing uniformity to its voice-controlled platform, but the new feature could potentially cut into Google Home sales if users opt to just buy a Pixel phone. We've asked Google about this as well, and will let you know if they share any concerns with us (we doubt it).